I am trying to find information about my father, killed in a mining accident 2 Apr 1977 at Peckfield Colliery Micklefield, my birth date was 7 June 1967 (my full name is David Andrew Lodge). My father was called Barry Lomax, and was a single man aged 24 when my mother had an affair with him. My mother gave me away at birth, her name was Susan Christine Lodge. They lived in Yorkshire, Mother in Wakefield. Apparently Mr. Lomax, born 1943, had 5 sons with another lady, his wife? No idea. 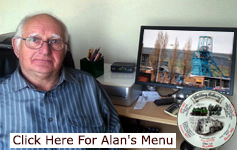 I never knew him but I am trying to find a Photo – maybe he had a photo with workmates? I would be most grateful if you could assist me in anyway. I was told he was killed, aged about 34, in an accident as his chest was crushed whilst in the pit. According to our records, I can confirm that we did have an account, no 24922607G, in the name of Lomax v National Coal Board, a/c David Lodge (a minor) with a Case no 1977 L 397. Could this mean that the accident occurred in 1977? I do not know where I can get the information – the above came from London! I am only trying to find out what actually happened, apparently he was crushed, in which mine, I have no idea. Any details you could find would help me immensely. I am only trying to find a picture of him and any details of the accident. I never knew him, saw him or had any contact. Just in Germany, where I have lived for the last 18 years it is difficult to find the right Databases. I have found a death announcement in the Newspaper whereby Barry Lomax was killed in a tragic accident on 02.04.1977 at Peckfield Colliery Micklefield, east of Leeds. He had a sister named Brenda and brother in law Peter. he was working on the South Milford development at Peckfield Colliery when he was killed in a tunneling accident. D.O.B. 09.03.1943 – his death certificate was dated 23.06.1977. A Charles Edward Moalin from Castleford was with him on the day of the accident. Deputy Robert Stephenson Ford, David Robinson and Brian Anthony Sykes were present on the day of his death. He was married to a Patricia Mary Tomlimson in 1971, he had at least 3 children with her. Maybe this information could be passed on. I do not know if his relatives are alive either – as I would presume his sister may have a photo. The village served the Peckfield Colliery, which served the “superpit” field of Selby, North Yorkshire. It produced high volatile bituminous coal in the Westphalian Coal Measures. 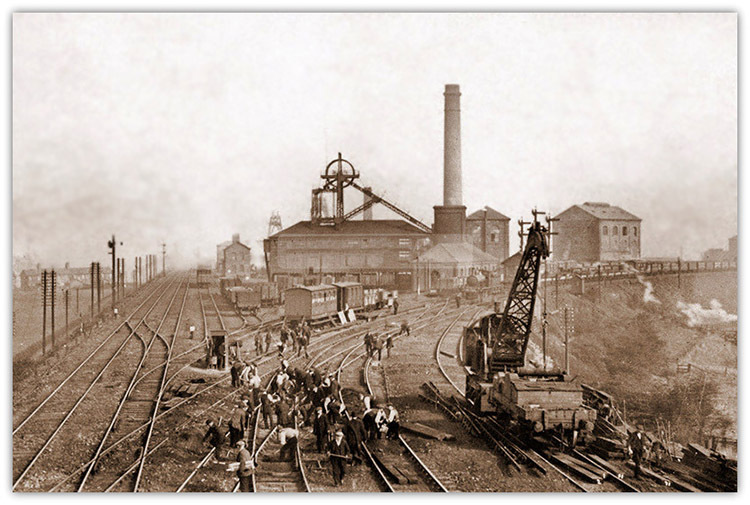 In first half of the 20th century, two seams of coal were worked. The first was the Beeston seam at 170–180 yards depth; the second was a deeper Blackbed seam at 210–220 yards. Up to the 1980s the pit was served by a 2' 6" gauge rail link which transported coal from Ledston Luck Mine to the south, from where the coal could be shipped via the mainline rail. The pit came into operation in the 1870s and was the location of an enormous explosion on 30 April 1896, in which 63 of the 300 workers (men and boys) died. Twenty died from the explosion, the rest from afterdamp. Only four of the 23 pit ponies survived the disaster. Ninety children were rendered fatherless in the disaster, and plaques in the village school, church and pub are dedicated to their loss. The village is typical of Yorkshire's former coal mining communities with its mix of local authority and private houses. The village has undergone a rapid expansion in recent years with former commercial premises being demolished to make way for new private housing. Micklefield is a village of two halves. One road - the Great North Road or "the old A1" - links the two with a distinctive 'S' bend surrounded fields giving a fair indication of when moving from one half to the other. The southern part is known as "new Micklefield". It contains the railway station, landfill site, industrial park and allotments. Housing consists mainly of late 19th century/early 20th century terraced cottages built for miners, some larger pre-war semi-detached houses, and the Garden Village housing estate. In recent years, new flats have been built next to Pit Lane. The old fire station is used as a community centre. Nearby is a sandwich bar, and a small independent shop. Hi, just to say that nothing is wrong just, that my parent is an ex-miner and has noticed that some that came out the pit aren't on here. Also, the Memorial at Hucknall shows the fallen on 3 plaques for Linby, Hucknall 1 and Hucknall 2. I belong to the Arnold Local History Group, we are trying to collect as much information on past people of Arnold for Arnold people of now and in the future. I found your site whilst looking for something regarding my own Family History, they are Bond, Hutsby and Wagstaff. I want to ask you, am I allowed to copy the names and information of miners from Arnold which are on your records regarding accidents at Gedling Pit. This would be an excellent archive for the people of Arnold who are researching their Family History. If I am not allowed to I understand and will advise them to look at your excellent site for themselves.